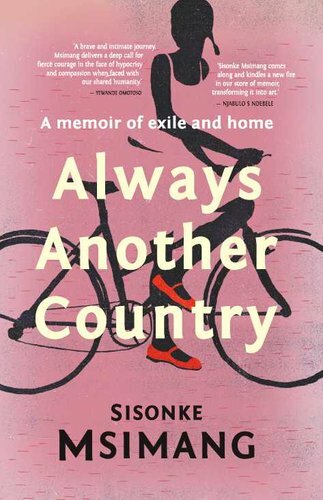 In her much anticipated memoir, Sisonke Msimang writes about her exile childhood in Zambia and Kenya, young adulthood and college years in North America, and returning to South Africa in the euphoric 1990s. She reflects candidly on her discontent and disappointment with present-day South Africa but also on her experiences of family, romance, and motherhood, with the novelist’s talent for character and pathos. Militant young comrades dance off the pages of the 1970s Lusaka she invokes, and the heady and naive days of just-democratic South Africa in the 1990s are as vividly painted. Her memoir is at heart a chronicle of a coming-of-age, and while well-known South African political figures appear in these pages, it is an intimate story, a testament to family bonds and sisterhood. Sisonke Msimang is one of the most assured and celebrated voices commenting on the South African present – often humorously; sometimes deeply movingly – and this book launches her to an even broader audience.